Home » Gear » What Music Studio Equipment do You Find in the Professional Studio? Music studio equipment found in commercial studios will be slightly different to the gear you’ll have in your own home studio. There will also be a change in the recording setups they use, and I’ll explore some of the reasons for you here. Of course, two of the big reasons we think of straight away are time and money. It can be expensive to set up your own home recording and production setup but it’s nowhere near the cost of setting up a commercial recording studio. These studios also have to be viable businesses and make a profit – time is money! As an artist and producer, I’m sure you know it can be very expensive to buy time in a commercial studio. This also brings added pressure in the use of your time, as you’re always aware that each passing minute is costing you money. This pressure isn’t there when you’re working in your own studio, and this can bring its own advantages but also its disadvantages. You have as much time as you want in your own studio to create, produce, and experiment, and you’re not being charged money for your own studio time. But on the other hand, this can be a negative for some people, who spend all there time trying things out but never getting any tracks finished. Some artists and producers like the pressure of time and money driving them on, as they think they’re more likely to get their tracks finished. A little trick I once used when I found myself spending too much time on certain tasks was to imagine myself working under the limits of a commercial studio. I’d ask myself questions – did I really need to spend all this time on this snare sound? Should I stick with this guitar recording or try another microphone setup? This helped me to get tricky tasks completed or projects finished where I had previously been spending more time than was necessary. Try it out if you’re feeling a little stuck – what would I do if I my time was costing me money? Commercial studios are often designed by specialist companies who have years of experience in designing them to specific budgets and dimensions. Everything is planned beforehand, including how the space will be used and what recording studio equipment will be brought in. These studios will always have the classic live-room/control-room design layout, with some often having more then one live room. The rooms will be acoustically designed and acoustically treated, giving the best conditions for creating and producing music. 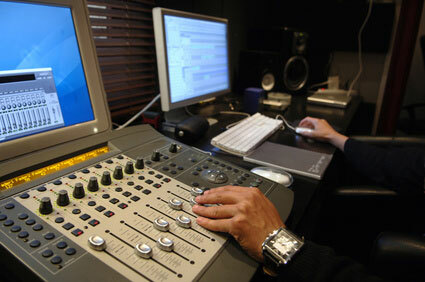 Because of the larger budgets involved, the music studio equipment will be of a higher standard. 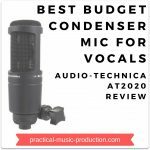 For example, there might be dozens of different microphones to choose from along with lots of different microphone preamps to run them through. Home studios may only have a few microphones available, and will often make do with the pre-amp that’s inside the sound card connected to the recording computer. The control room will also be ‘tuned’ (acoustically treated and designed) to get the best results when mixing. 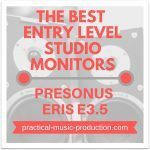 There will usually be a few pairs of monitors to choose from, each with a flat frequency response to give the truest picture of the sounds in the mix. 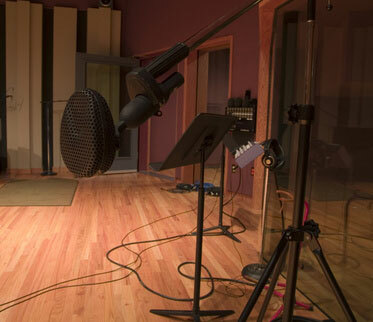 Some studios often have consumer-level loudspeakers available to listen on as well, and mixing engineers will listen to their mixes through them to compare and contrast with the professional monitors. Loudspeakers often have slight boosts in the low and high frequency ranges to sweeten the sound you’re hearing, and are found on consumer-level hi-fi systems. Because of this the quality of the results will usually (although not always!) be better. These studios start off with massive advantages, like the space available and the acoustically designed and isolated rooms, meaning the sound of the rooms will be better suited to recording real musical instruments. We all know that our home studios will rarely have these features. They’re usually built up gradually over many years, and are squeezed into a spare bedroom or a home office. Music studio equipment is mostly bought as and when it’s needed. As a home-based producer, you might just start off with a computer, a DAW, and a pair of headphones. That’s pretty much how I started off all those years ago. 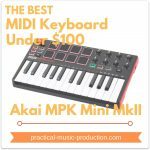 Next you might get a pair of monitors, and some software like a synthesizer plugin and a drum machine alongside a MIDI controller keyboard. You might then branch out into some hardware, such as a couple of recording microphones and an outboard pre-amplifier. When working in your home recording studio, you’ll have to take on different roles at different times. 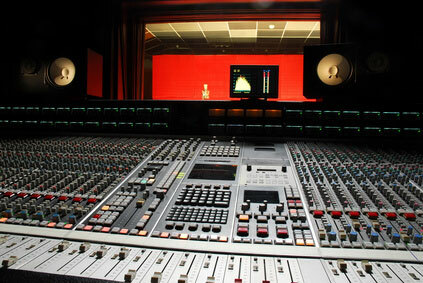 Commercial studios will have specialised engineers, musicians, producers, mixers, even caterers for the food! If you’re producing in your own studio, you’ll have to be all of these roles at some stage during the production of your tracks. And you’ll have to make your own coffee. 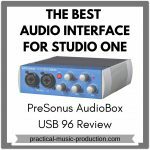 As you’re building up your own music studio equipment, I would take the time to learn what each device does. Get to know exactly why it’s there in your studio and what its job is. The deeper you know your equipment, the more creative you can get with it, which can only improve your skills as a producer.